In the year leading up to leaving for college, much of your time is spent preparing for the changes to come: organizing and packing up your belongings for a dorm room, looking through course catalogs to choose what classes you want to take, and talking with others who have already been through the process of entering college or your friends with whom you are about to start a new chapter of life. As you prepare, there is no shortage of people offering you stories, warnings, and advice from their own college experiences, each to be taken into consideration, but with a grain of salt. While every person and every school is different, there are some pieces of advice that are universally valuable and applicable. With an older brother who had just graduated from college as I was about to enter into my first year at Kalamazoo College, I had a trusted source who could answer all of my questions about living away from home, making new friends, and being successful academically. One of the most important things he told me was something I later heard echoed by a variety of people in my life, backed up with different personal experiences. That advice was to get involved. It sounds cliche and almost too obvious, but as a freshman starting out in a new place, it is easy to latch onto the first few friends you make or to convince yourself you need some time to settle in before you start to look for clubs or organizations to get involved with. While this is true, Kalamazoo College already plans for that time and schedules its student organization fair, K-Fest, several weeks into the first quarter. Here at K, a lot of those worries that freshman may have are anticipated and the structure of Orientation Week, First Year Forums, and K-Fest are formatted to alleviate the pressure of having to figure out your whole new life at college all at once. With the first few weeks of classes and social life under your belt, K-Fest is a great opportunity to walk around and “sample” some of the many student organizations, or Stu-Orgs, here at K. Joining a club or organization that deals with subjects and issues you are interested in is the best way to develop your campus network to include upperclassmen and other students you may otherwise not meet, to participate in fun activities or meaningful work, and to begin to create a solid resume for the other numerous opportunities you will come across at Kalamazoo College, like internships, study abroad, and on/off-campus employment. follow through. 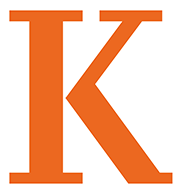 There is always an excuse at a place as academically challenging as Kalamazoo College, and while it’s important to prioritize homework, it is equally as important to get out of your room or the library and go do the things you say you want to do. Attending events and working with on-campus organizations will actually give you more context to complete your academic work within and will open doors to new friendships and opportunities. You just have to go do it. This entry was posted in Student Bloggers and tagged first year experience, friends, incoming students, kfest, life at K, orientation, student life, student organizations, stuorgs, . Bookmark the permalink.